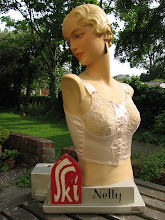 Vintage Style Mannequins: Vintage Style Mannequins on Facebook ... at Last!! 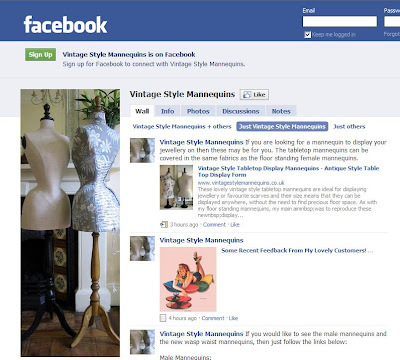 Vintage Style Mannequins on Facebook ... at Last!! 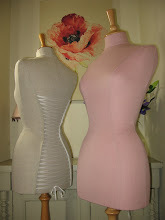 So finally, today I got around to making a Facebook page for Vintage Style Mannequins. It's still a work in progress, but I'm so happy that I have made a start. With lots of orders to complete, it has been hard to find the time and so I set aside today to get the job done. Click on the picture if you would like to take a look and I know I will be so excited if I get some 'likers'. If there is anything you think would be helpful to add to the page, your comments would be very welcome! Have a lovely weekend, I think we are forecast some good weather! Shame on You - Developers of the 60s!